In addition to employing a knowledgeable staff and a wide selection of industry-leading products, Ag Enterprise Supply Inc. uses the best available systems and devices for the maximizing efficiency in farm operations and minimizing unnecessary spending. 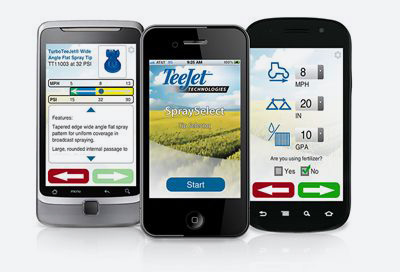 TeeJet Technologies is excited to announce the release of our new spray tip selection app for Apple and Android mobile devices. SpraySelect allows you to quickly and easily choose the proper tip for your application. 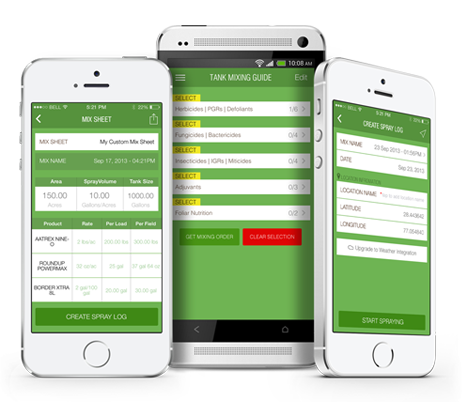 Just enter speed, spacing and your target rate, select your droplet size category and a list of tip recommendations is provided. US and Metric units are supported along with six languages – English, Spanish, French, Portuguese, German and Russian. Precision Laboratories has released an update to its Mix Tank app for the iPhone and iPod touch. The Mix Tank app, launched in March of this year, is the first of its kind to determine the proper mixing sequence for pesticides, adjuvants and foliar nutrition products to help avoid tank mixing problems. Version 1.1 of the Mix Tank app, available as a free download on the App Store, includes an entirely new home screen user interface, allowing users easy access to the app’s primary functions. Also included in the update is an easier way for users to share the app with others, and an optional email signup to receive app-specific updates before they’re released publicly. Since the Mix Tank app launched, more than 150 crop protection products have been added to the database, putting the total at over 900 products. The DuPont TankMix Calculator Application allows you to easily calculate the amount of product you will need to treat a specific field area, the amount of product you need to apply to a specific tank size, the amount of water you’ll need to treat a specific field area or the amount of product you need to get the desired Volume to Volume ratio. It offers a wide selection of Units of Measure to make it useful anywhere in the world and it gives you the flexibility to enter information using both decimal or fractions. Download the Free Tank Mix App below.